Anyone who knows me knows I'm a huge sucker for Roman architecture, especially when it is out of place (have you read what I have to say about Segovia?!). This is just one of the reasons I love Tarragona. Only an hour outside of the city, Tarragona is a perfect Barcelona day trip for a traveler looking to get out of the hustle and bustle of the city, but looking for more than just a beach (though there's that too!). To get to Tarragona, catch a Renfe train from one of the stations within Barcelona (there are a bunch of options). Look up the timetable and book a ticket here or buy one at the station. Once on the train, grab a window seat and enjoy your hour-long scenic coastline ride. once at the top, the colosseum on the beach will be revealed! This amphitheater is from the 2nd century and just like the colosseum in Rome, it was home to plenty of gladiator performances in its day. Continue north up the hill. Here you'll encounter remnants of the former Roman wall and Circus. These are arguably the best preserved parts of this ancient Roman city. The mediaeval cathedral in the center of the city is also worth visiting. It's 5€ to enter, and probably only worth the entrance fee if you're really into Mediaeval art, but a peak at its exterior will be worth your time. 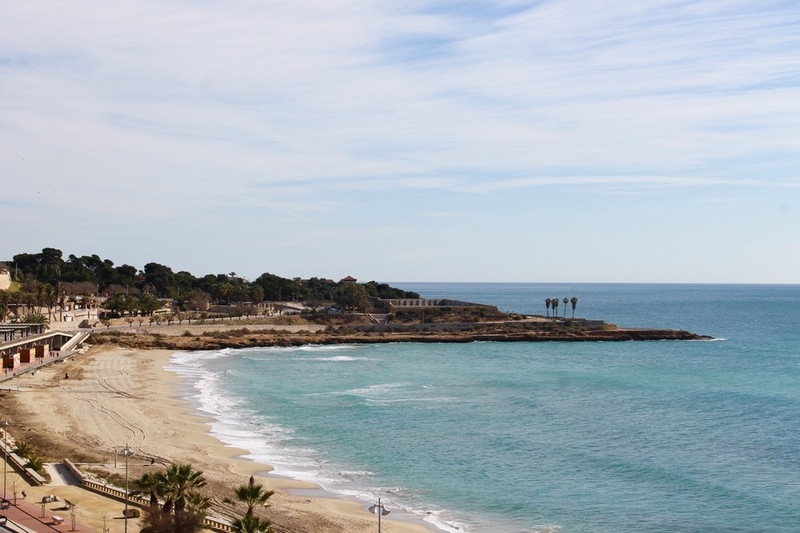 Four kilometers outside of the city, and accessible by bus, is the best part of Tarragona. There you'll find an aqueduct towering 85 feet overhead in a quiet little nature reserve. Grab the 5 or 85 bus from the corner of Av. Prat de la Riba and Av. Ramón y Cajal. Pay the driver 1.5€ and take it ~15 minutes to the stop Pont del Diable. When you get off the bus you're going to think I'm a big fat liar and have taken you to the side of a freeway to kidnap you, but I promise that means you're in the right place. Once in the park, check out the map at its entrance and choose to take the upper or lower path to the edge of the aqueduct. 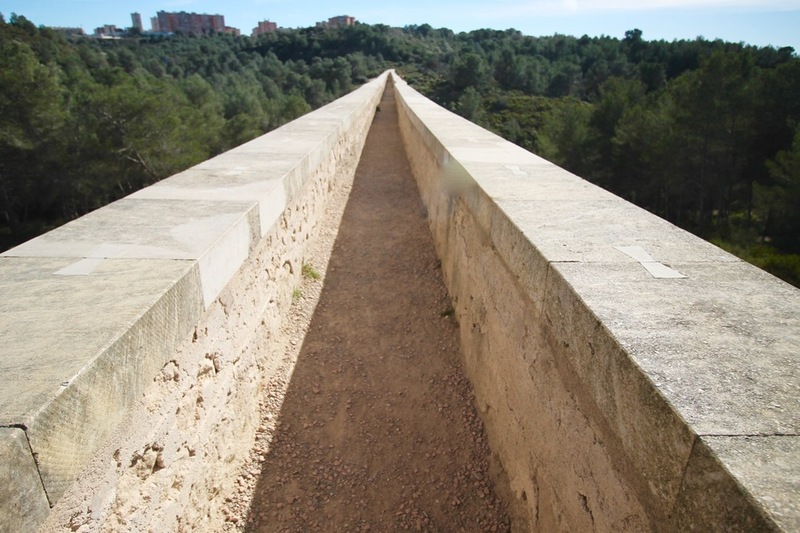 You can hike around the base of the aqueduct and all the way up to the top. If you have it in you, you can even walk all of the way through the aqueduct's canal which is surprisingly scary, but equally awesome. Take your time enjoying the aqueduct and park, and when you're ready, head back to the same bus stop. The 5 or 85 bus will be by to pick you up where it dropped you off. Pay the driver 1.5€ again and take the rest of the bus loop back into the city. The ride back is about 45 minutes, so take the time to catch your breath. Once back in the city, check out any other sites you're dying to see, enjoy a snack or coffee on one of the gorgeous squares, or head to the port and beach area to relax on the coast. When the sun is setting, head for the train to continue wherever your adventure leads you (if you're on the beach, you'll access the train by taking a stairwell leading underground). If you're planning a multi-day tour around Spain, know that Tarragona can be reached via train from many Spanish cities other than Barcelona including Madrid, Valencia, Sitges, and others (check the Renfe schedules to plan your exact route). I hope you enjoy your Tarragona adventure. Let me know how it goes in the comments below!